Vestnik RUDN. 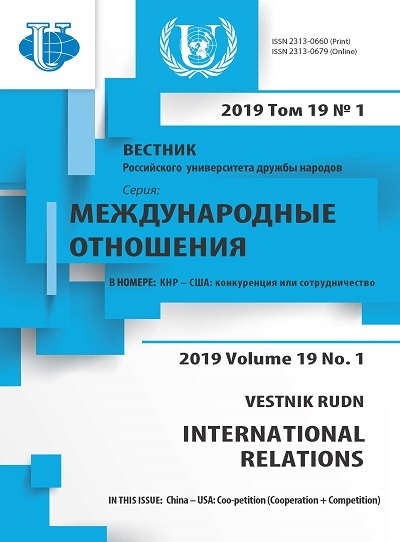 International Relations is a leading Russian scientific journal, established in 2001 by Peoples’ Friendship University of Russia (RUDN University). Vestnik RUDN. International Relations is inviting prospective contributors. Each of the issues has, but is not limited to a particular thematic focus, which is set in advance. Articles on the thematic focus make up the “core” of issue. At the same time other topics are also covered. Constant rubrics include “History of International Relations”, “Applied Analysis”, “Political Portraits”, “International academic cooperation”. The journal welcomes the publication of reviews. Academic interviews with leading researchers on international affairs, working in one area, but in different countries are allocated in every issue in the rubric “Research Schools”. The articles are accepted in English and in Russian through the official web-site of the journal.